As a pre-teen kind growing up in Phoenix, Arizona, I was just beginning to broaden my listening palette beyond Elvis Presley. In those days in the early seventies, all I had to rely on to expand my musical radar was the local AM and FM radio stations. I would go to sleep with the timer set on my shoebox shaped bedside clock radio. One night, “Knights In White Satin” came on and I remember being both relaxed and captivated by the ethereal sounds of that now classic song. All of those memories came flooding back in a more vivid manner with I popped my review copy of the DVD by Justin Hayward, “Spirits . . . Live”. I’m sure that it will be the same to my older demographic brothers and sisters who were fans of The Moody Blues before I even knew they existed. 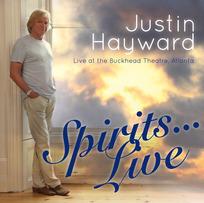 Recorded at The Buckhead Theatre in Atlanta on August 17, 2013, Spirits…Live was captured during Justin Hayward’s tour in support of his recently released solo album Spirits Of The Western Sky – his first since 1996’s The View From The Hill. The legendary Moody Blues guitarist/vocalist, joined by acoustic guitarist Mike Dawes and keyboardists/background vocalists Alan Hewitt and Julie Ragins, presented a set of 15 songs, selected from the new album and some Moodys favorites. 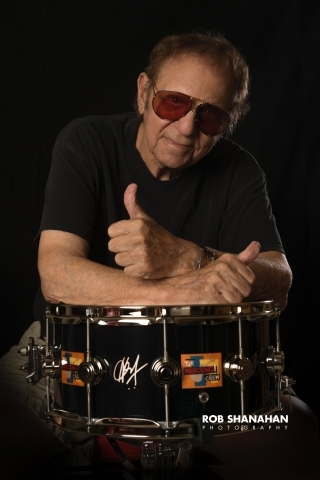 New tracks like “One Day, Someday,” “In Your Blue Eyes,” and “The Western Sky,” nestle comfortably between classics such as “Nights In White Satin,” “Tuesday Afternoon,” and “Question,” encapsulating Hayward’s rich career as a songwriter. In addition to the full concert, the DVD and Blu-ray also features a Behind-The-Scenes featurette, allowing fans “backstage access” with Justin and his band. The entire package creates a delightful audio and visual experience that Moody Blues fans would naturally expect and will gladly add to their personal video library.